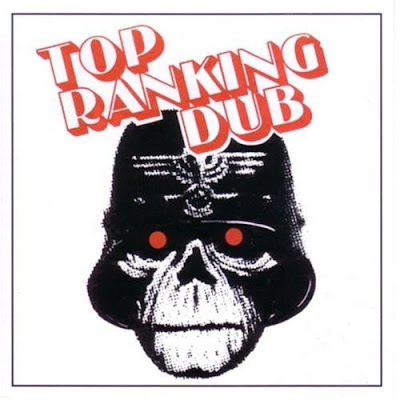 The Revolutionaries Top Ranking Dub Volume One (Duke Reid, 1978) ... The typeface used isn't especially 'metal' but the red-eyed ghoul in WWII Nazi helmet imagery sure is. Who knew Eddie liked dub? Decent enough album but it only gets top ranking on this list due to the cover art. 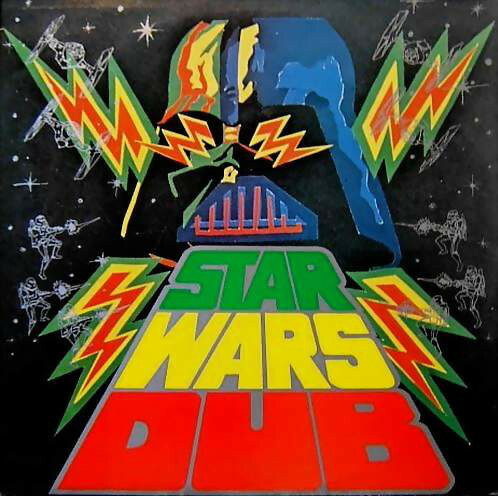 Phil Pratt Star Wars Dub (Burning Sounds, 1978) ... Darth Vader and lightning bolts are both hella metal, right? This is a pretty good dub album but it can't quite live up to the magnificent cover graphics, in my opinion. Still, someday when they make Vondur In Dub they can just use this cover. 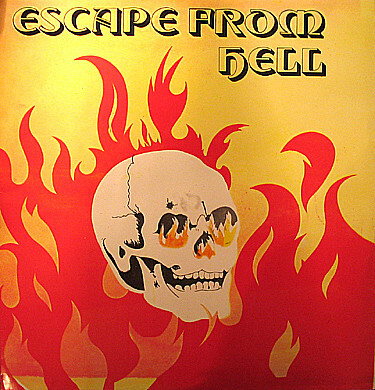 Tappa Zukie Escape From Hell (Stars, 1978) ... Can't argue with skull, flames, and hell. Also, it's a great album. 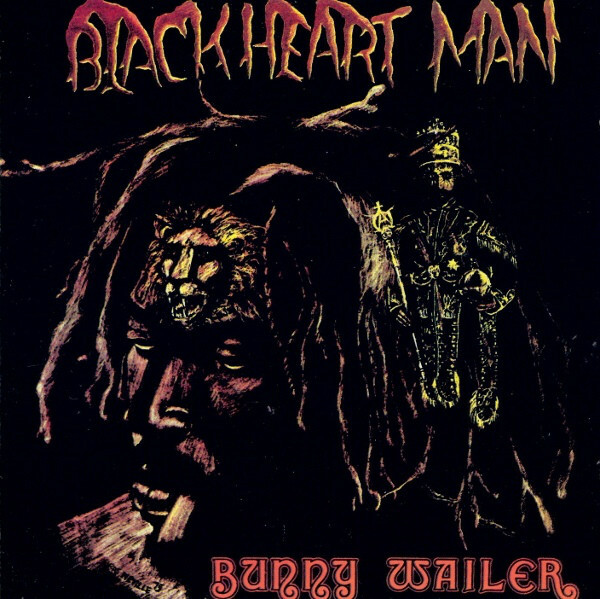 Bunny Wailer Blackheart Man (Solomonic, 1976) ... Super dark, grim n' spooky cover art. Album title rendered in what's almost a black metal logo style. Artist's name printed in a font quite similar to the one used on Black Sabbath's debut (the exact identity of that font being the subject of some debate, as it happens). Yeah, definitely one that belongs way up on this here list. 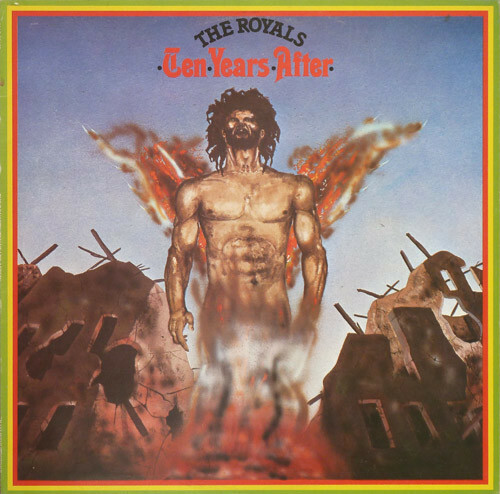 The Royals Ten Years After (Ballistic Records, 1979) ... Take away that red-yellow-green border and maybe the dreads and you've got a cover that looks like it belongs on an early Judas Priest album for sure. Sad wings indeed. 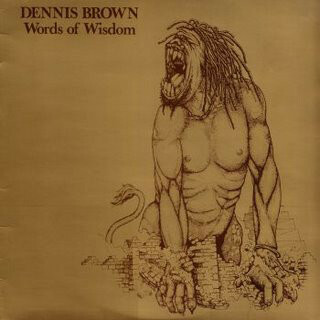 Dennis Brown Words Of Wisdom (Laser Records, 1979) ... Meanwhile, this album has art that could do double duty on a proto-metal platter by some obscure, hypothetical Uriah Heep wannabe, whattya think? Massive Dread s/t (Gorgon Records, 1979) ... Ok, so maybe this one doesn't really look like an actual heavy metal album cover. But, it's certainly rad, right? 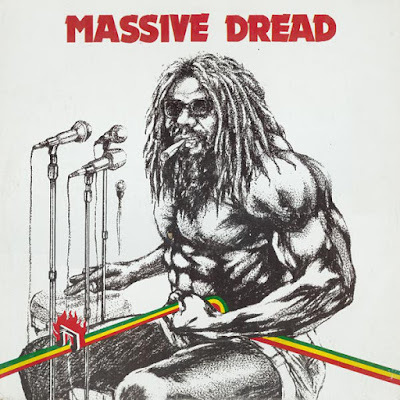 Furthermore, the brawny musculature and length of hair/beard of the fella on the front – and the size of the spliff he's smoking – would certainly qualify him to pose for some super-heavy stoner metal band's album cover, I think. 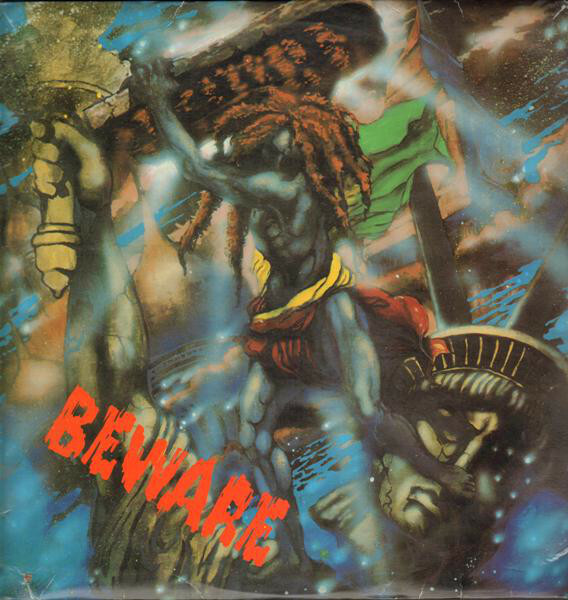 A great freakin' album, sadly not reissued on cd as yet. Yabby You & The Prophets Beware Dub (Grove Music, 1979) ... I dunno, this cover just says 'THRASH!' to me. 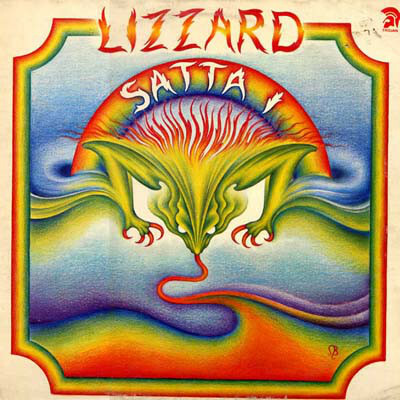 Lizzard Satta I (Trojan Records, 1976) ... Color scheme aside, totally '70s proggy proto-metal lookin' cover art and logo style here, eh? 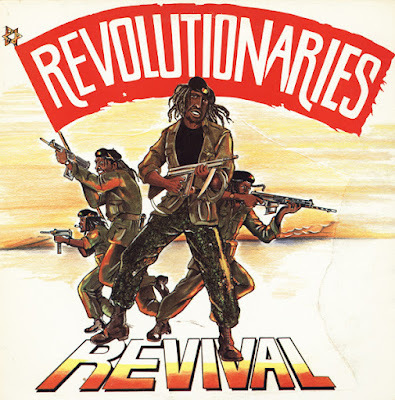 The (sadly not on cd) reggae album is pretty cool but I'd love to hear the imaginary mystical metal record that would share this sleeve in an alternate universe. Maybe something a bit Thin Lizzy-ish? Or, a la Rainbow? 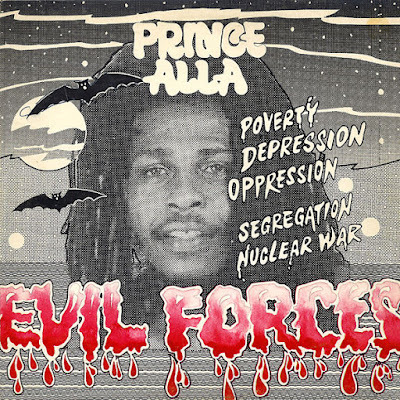 Prince Alla Evil Forces (Calabash Records, 1984) ... Dude's face/expression isn't very metal, nor is the logo at the top, but I think the bloody font used for the album title qualifies this for inclusion here, as do the various examples of evil forces listed on the cover (which sadly aren't song titles). Plus, bats. Scientist Heavy Metal Dub (Clocktower, 1980) ... 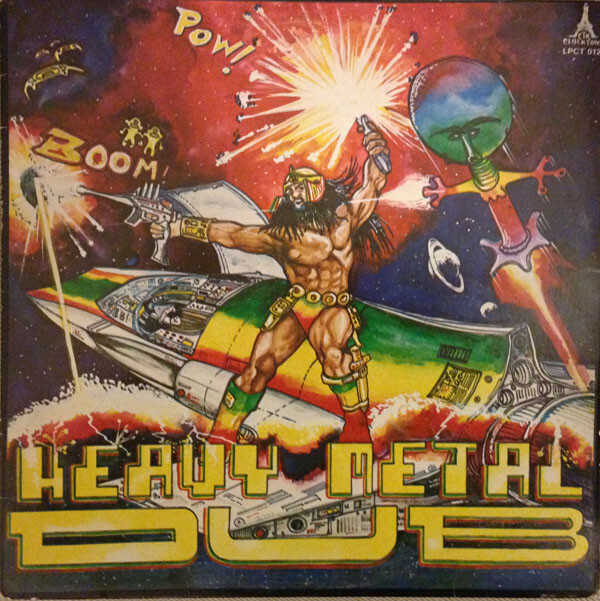 Although it fails the truth-in-advertising test (there's nothing 'heavy metal' about the music) you can't argue with these Star Trek themed dub tracks. And thanks to the title & the sorta Pedro Bell style space operatic cover art this had to be on this list! We make no apologies. Being that WDYLI is the "webzone of ex-aQ overlords Andee and Allan," after all, what do you expect us to do? Of course this self-titled album of long-lost recordings by defunct Seattle band Gruntruck would have to be Record Of The Week. Both of us are Gruntruck fans from way back in the day, so when a suddenly unearthed, previously unreleased third album by the group, recorded circa 1998-2002, is brought out by the aptly-named (such is their mission) Found Recordings label, automatic ROTW, yep! However, those of you not partial to grunge, well, get with the program (or just check back next week). 'Cause Gruntruck = grunge. The band featured members of The Accüsed and Skin Yard (including frontman Ben McMillan, who sadly passed away in 2008 from complications related to diabetes) and leaned heavily to the more metallic side of the grunge equation. This 'new' album, produced by Jack Endino and some other fella, is totally in the vein of their original, earlier two records, 1990's Inside Yours and 1992's Push, and thus makes for a welcome, if posthumous, return for fans like us. Okay, so to be clear, it's not like we're necessarily asserting that this is absolutely the greatest Record that came out this Week... nor are we proclaiming it the best Gruntruck album ever (if you've never heard 'em before, definitely start with Inside Yours). 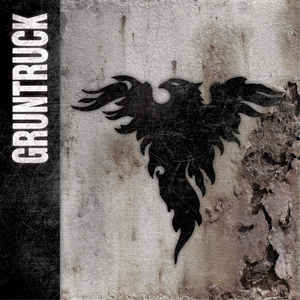 But it just might be the best grunge album released in the past week, and is without a doubt the only Gruntruck album this week! So, ROTW as far as Andee and Allan are concerned. Gruntruck is available for mailorder on both cd and lp from Light In The Attic, where you will also find some sound clips to check out. This time around our WDYLI ROTW is the latest release from the always awesome Utech label: a compact disc by a ritualistic Taiwanese drone-folk-psych-synth duo that's new to us, though this is their seventh or so entry in a discography dating back to 2013, mostly composed of tapes and cd-rs – this is their first actual cd. There are a bunch of essential/awesome vinyl reissues that dropped recently that could easily be Records Of The Week: Danish hippie psych band Alrune Rod with their wonderfully trippy Hej Du LP originally released in 1971 (now on Shadoks); an unusual Italian library (more like laboratory) music artifact from '72 called Science & Technology by Raskovich (via Dead-Cert); the self-titled 2003 debut from Steven R. Smith's Eastern European influenced folkdrone project Hala Strana on vinyl for the first time (on Desastre); and also for the first time on vinyl the most crucial masterpiece from John Zorn, Bill Laswell and Mick Harris's grind-jazz-dub-ambient outfit Painkiller, 1994's overwhelming double disc set Execution Ground (on Karlrecords)... all worthy potential ROTW picks... but what about something new for a change? Well, California's White Manna aren't a brand new band, but they do have a new record, brought to you by the combined powers of both the Cardinal Fuzz and Agitated labels, and it's a good call to be thee ROTW this week for anyone into Hawkwindy psych rock, with a dash of the Stooges. Which is everyone we know, pretty sure? Loads of riffs, effects, and, yes, songs too. Catchy ones, even. 'Twas recorded by our pal Phil "Life Coach" Manley and mastered by former Monster Magnet John McBain. The Bandcamp page we're linking to already sez "sold out" of all formats, but don't panic, chances are that Midheaven Mailorder has copies, or perhaps your favorite local record store will, upon its release date of 10/6/17 – this Friday. Meanwhile, by the way, those other fantastic albums mentioned in the first 'graph above all ought to be sourceable from Forced Exposure if you're interested.